There are 47 reviews of Spice and Wood. Indeed wood with spices and a citrusy /apple opening. What is done well is that this is a wood fragrance than does not scream wood which is often 'wooden' and overpowering and can make you feel you are in a freshly sandpapered sauna. Masculine, powerful yet subtle. A great statement. Lovely from start to finish unlike Creed Viking which has that challenging opening but then settles to pure poetry. Horrifically expensive but then it would have to be as it would outsell most of Creed's other connoisseur's offerings -which does not by inference give them mass appeal. It is a distant cousin of Frederic Malle's excellent French Lover which has more pazaz and as such is less subtle but dare I say it may seem too austere for cold days. This one works. 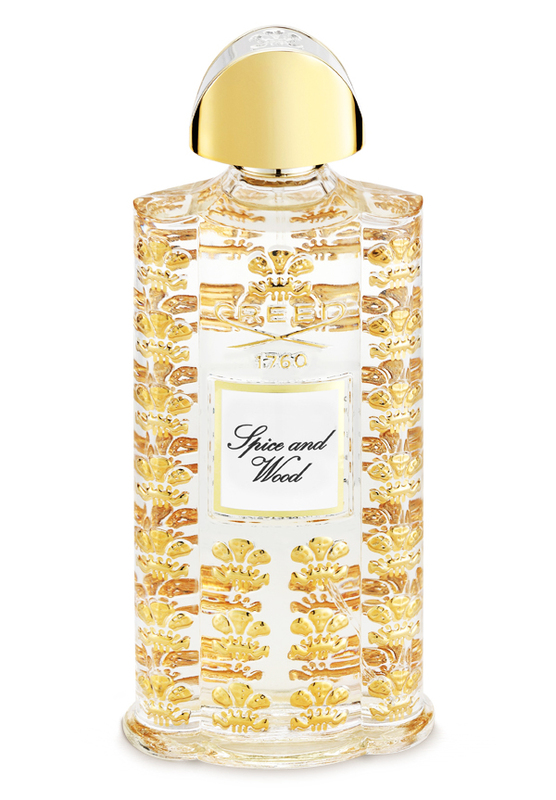 Creed's Spice and Wood is the second to be released in the Royal Exclusives line. I've always found Spice and Wood to be a very pleasant, wearable, and distinctive scent to wear casually. Holding the Pochet glass decanter is an experience in itself; as for the fragrance, Spice and Wood has such a respectable collection of notes to titillate the mature olfactory palate. Spray-on starts with a citrus-fruit combo that leads into the spicy-herbal mix of angelica, clove, pepper, and patchouli, blending with starchy birch bark and cedarwood, and floral-sweet iris plus earthy smoky oakmoss touched with a slight muskiness. The potion is bright, aromatic, animated with life within and pleasing without. Spice and Wood is masculine, classy and balanced. Highly recommended! I like it a lot. I wouldn't buy a full bottle of this though. I have a generous amount of a sample to last awhile. It is a masculine, on the sweeter side. Spicy wood, for sure. There is a touch of apple and citrus. Wisps of angelica and iris. Mainly, it is all cedar, on my skin. Sugary cedar. Just nice......and it ain't no Bois du Portugal. That being said, the Pepper and Clove rises, to push through, the rather Green, Waxy Sandal and it surely resonated suavely enough, that I had to, close my eyes, lay down the plastic and pray that my limit would be extended. Of course, now, the Prada's I had to have, to replace the clunky Alden's, that mate so well with the BdP. If you are a Young'un, Spice and Wood could very well be your BdP. Whats so good about Creed Spice and Wood? Ormonde man or Creed Spice and wood ? If I like Creed Spice and Wood + Royal Oud and CC X, what else will I love?